Katherine Redlus unravels her spiritual journey in “Welcome Home,” a vulnerable and ethereal sonic embrace of healing, self-love, and belonging. We are often wont to speak in black and white language about our emotions and demeanor: Someone is depressed, or an optimist; a negative or positive personality; etc. We have been conditioned from childhood to perceive our experiences and feelings as one or the other; to my knowledge, the English language doesn’t have the word for feeling “a mix of happy and sad,” or “appreciative yet mournful;” in the case of the former, to describe someone as being at two ends of the spectrum makes it that much harder to appreciate the range of emotion in-between the poles. The truth is far more complex, but therefore much more difficult to grasp: We are each someplace in-between, a litany of colors and emotions that don’t fit the simple narratives of youth and classic stories. Incredible artists have for years crafted brilliant works around their own emotional reckonings, but Katherine Redlus goes above and beyond in her new song “Welcome Home.” A vulnerable and ethereal sonic embrace, Redlus’ “Welcome Home” wraps listeners in waves of self-love and belonging as the emerging artist unravels her own spiritual and emotional journey. searching for a place to call my home. and everywhere I go – I just feel so alone. but I can’t remember where I come from. All I’ve got’s a memory of an ancient song. that I felt loved when it was sung. Atwood Magazine is proud to be premiering “Welcome Home,” the second single off Katherine Redlus’ upcoming debut album, BRUTAL WALTZ (independently out December 2018). Redlus’ music is not what one might expect to hear from “a classically-trained harpist and singer/songwriter.” Using avant-garde techniques on her harp, synthesizers, and sundry studio equipment, Redlus has developed an immersive, celestial electroacoustic dream pop sound that is all her own. 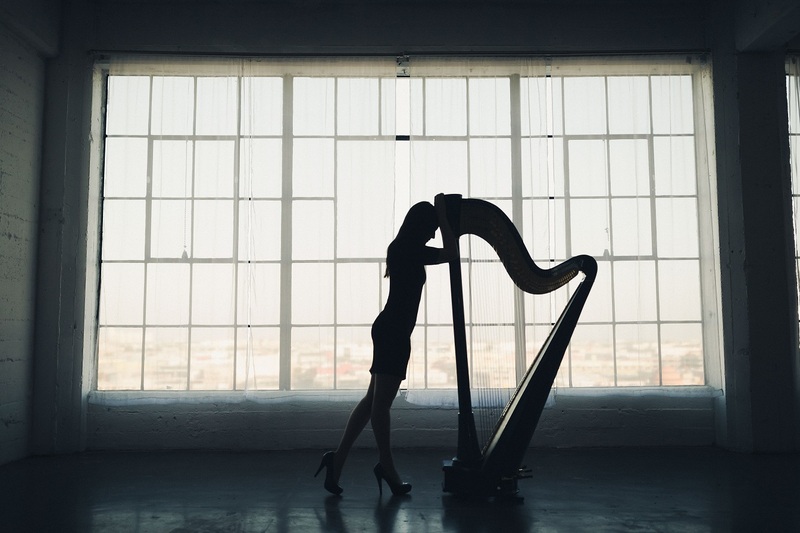 Currently based in New York, she studied music and NYU before pursuing a masters degree in harp performance with teacher JoAnn Turovsky at USC Thornton School of Music. 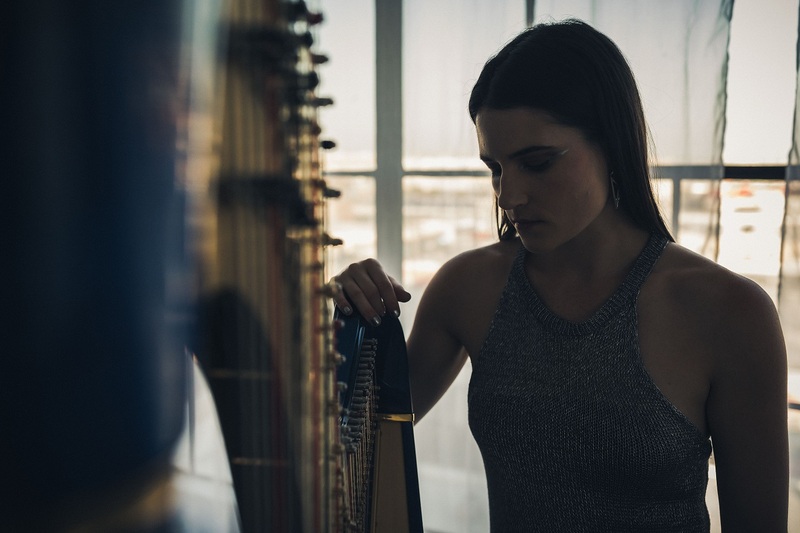 In addition to posting weekly covers of songs on YouTube, Redlus has spent much of the past year and change working on her debut record, which she successfully crowdfunded through Kickstarter this spring (the project was titled, Electroacoustic Harp & Vocal Debut Album by Katherine Redlus). “Welcome Home” follows lead single “Kingdom Come,” whose dark and dreamy harpwork creates a magical, almost fairytale soundscape. 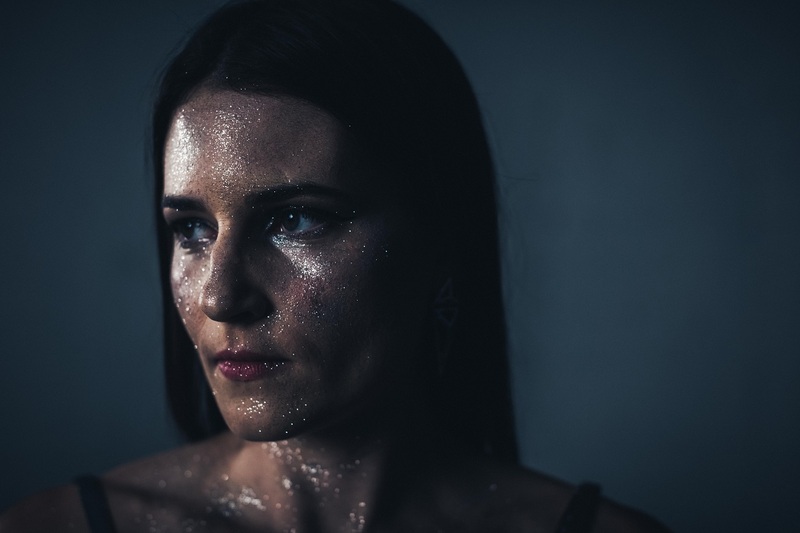 Redlus is an expert at luring listeners into worlds of her own creating; her latest songs suggest that she has come to master this craft, while studiously expanding as a songwriter and storyteller. “Welcome Home” is a story of self-reflection, suffering, acceptance, and embracing. Its verses focus on personal pain and searching, inner aching and loneliness – the general sensation of feeling lost, despite being quite grounded and present. Redlus builds up beautifully to a passionate chorus wherein she implores herself and all listeners to look within themselves for the guidance and comfort they seek. “I wrote my debut album as a story of my own spiritual journey from fear and suffering into love and understanding,” Katherine Redlus tells Atwood Magazine. “The album overall is an embracing of the lightness and darkness within myself – grabbing life with open arms in all of its beauty and sadness. “Welcome Home”… is placed on the “light” half of a two-part album that is both light and dark, gothic and spiritual. I have always been interested in spirituality and religion, but for a long-time I really struggled with the belief that if I became more “enlightened”, the uncertainty, fear, depression, and anxiety I experienced would magically vanish. I not only realized this is a completely ridiculous and unrealistic concept, but also I have since become more open about anxiety and depression and discovered so many people who feel exactly the same way. Fear is the stranger here. Welcome Home, here you’ll never be alone. of your rightful place and home. is that you’ve always belonged. but you were born free, dear lost soul. I hope it can be an anthem for anyone who struggles with these same challenges. An enchanting, moving song that highlights a universal personal struggle, “Welcome Home” is the bright spark in a hazy sea of grey – a thought-provoking piece that whisks us away with majestic melodies and delicate sweeps of sound. 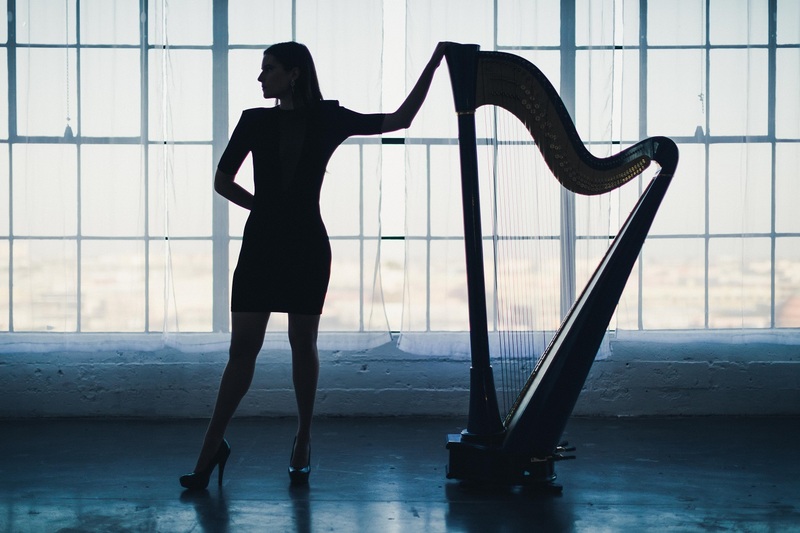 Redlus’ voice is sweetly emotive atop her extensive harp performance. Her final product is an absolutely enthralling affair whose emotional depth never fully wears off; we’re left to consider ourselves and our own state(s) of mind, as we swim through murky seas that are never quite as black and white as we’d perhaps prefer. 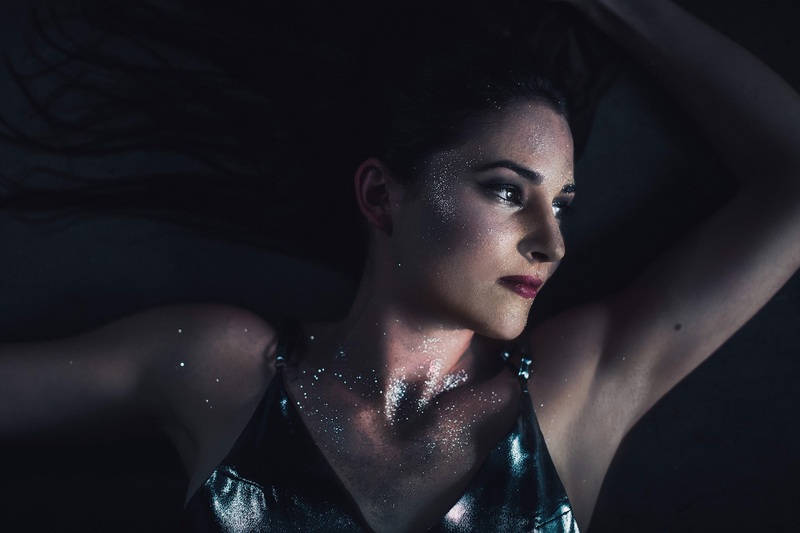 Stream Katherine Redlus’ “Welcome Home” exclusively on Atwood Magazine! she felt loved when it was sung.